Driven by the industry knowledge of valet professionals and the technical expertise of engineers, O-Valet relies on a sophisticated combination of software and hardware to help optimize your valet service in every single way. What makes our valet software the best? Upon guest arrival, the valet driver greets and issues a ticket to the guest. Tickets can be SMS, paper, or re-usable plastic. From here, capture valuable data from the guest such as name and date of departure. While the guest walks inside, the driver will then log any additional data to prevent false damage claims and note vehicle condition before it is moved. For instance, the vehicle can now be photographed for any pre-existing damages, either by the driver, or the O-Valet Eye camera system. Total accountability is maintained by logging the valet attendant's name and time to each action performed. The driver parks the vehicle then makes his way to the keybox area. Here, the valet driver logs the location of the vehicle. For reporting purposes, the valet operator will know how quickly the driver completed parking and can compare it against other drivers in the company. Optionally, O-Valet can be integrated with any gate arm to control access and log vehicle and parking information. This prevents the entry gate from opening unless the ticket is scanned in the system beforehand, eliminating ticket skimming entirely from your valet operation. Guests can request their vehicle in advance via SMS, an app, in their suite, in-person, or at any kiosk on your property. Valet staff are immediately alerted and can initiate the vehicle retrieval process. With the O-Lounge TV, guests can relax in the lounge area and hear an announcement as soon as their vehicle is at the door. 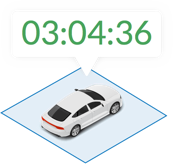 Retrieval time is immediately recorded for the driver to be compared against other drivers in your staff. O-Valet allows guests to pay however they prefer. This can be through SMS, their mobile phone, any O-Valet kiosk, or at the cashier upon requesting for vehicle retrieval. Payment can be made via credit, debit, cash, or any validation comp account you assign. All payment history and information is recorded on O-Valet, including previously voided transactions, payment methods, and more. With O-Valet, everything is accounted for. Access a range of metrics, including employee hours worked, individual performance (time spent parking/retrieving vehicles), daily, monthly and yearly revenues, vehicle traffic, and more. 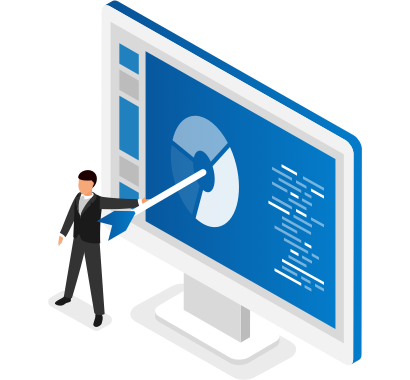 You can also quickly create graphical reports for a more visual impression. 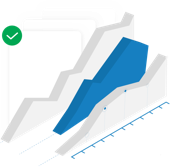 O-Valet also allows you to create custom reports on dozens of data points. We’d be happy to help you compile the right data and create as many of these as you require. O-Valet valet parking software can be complemented with a range of add-on hardware modules to further improve the guest experience and the productivity of your business. Eliminate false damage claims with the O-Valet Eye. Sensor-triggered HD cameras record a 360 degree view of each vehicle, instantly uploading these to the O-Valet cloud. Reduce slippage and only allow valid valet tickets in/out of your lot with the O-Valet Gate Arm module. This can be used to verify tickets, create area restrictions, and scan and log ticket barcodes for your auditing and reporting purposes. Integrates with any gate arm installations to verify tickets, create restrictions, and log barcode scans for auditing and reporting. Works with all gate-arms including Skidata, Amano, and many more. Optimize the vehicle request process with O-Valet Kiosks. These are 24/7, automated kiosks that allow guests to request their vehicles, scan their valet ticket, and pay via an integrated chip and pin card reader. A complete paperless solution. Your guests can receive an SMS as their valet ticket which contains instructions to request and pay for their vehicle. Eliminate false damage claims with the O-Valet Eye. Sensor-triggered HD cameras record a 360 degree view of each vehicle. Using SMS or plastic tickets, provide guests a true 100% eco-friendly solution which eliminates costly paper tickets. O-Valet provides a range of hardware solutions, including gate arm and payment machines, weather-proof access control systems, and more. Replace expensive cashier labour with a fully automated payment and request kiosk. Perfect for hotel lobbies and event departure zones. O-Valet integrates seamlessly with Oracle's Micros Opera PMS (5.5 and Cloud), Hilton's OnQ, Starwood's Galaxy Lightspeed, and many more.